Derrick Kosinski & Scott Yager are joined by Cara Maria Sorbello. Cara Maria (@CaraMariaMTV) is always one of our favorite guests, but it has been quite some time since she's been on the podcast. She returns to the show to talk to Derrick (@DerrickMTV) and Scott (@SHOTOFYAGER) about her recent "Block Party", how she and Paulie got through the rough patch a few months back, how they're doing today, where she stands with her Final Reckoning partner, Marie, how it feels to ... See More have so many people rooting for her downfall, what her biggest regrets are, who stands out to her among the Season 33 rookies and what she thinks of Johnny Bananas at the moment. 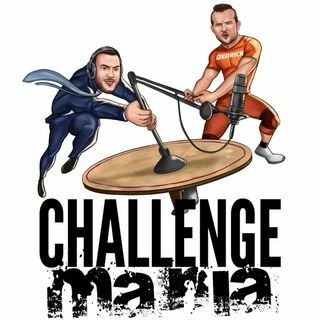 Head to the www.ChallengeMania.Shop to pick up your CHALLENGE MANIA gear and tons of Cara Maria Swag! Play in our Free Draft Kings Basketball Contest on Friday 3/15 at dkng.co/challengemania - Terms and Conditions apply. See site for details. Spend $25 at www.HogansBeachShop.com and get a Free Bandana with the code CHALLENGE. Love u Cara, Derrick and Scott! Love when Cara is on the podcast! !